WELCOME, everyone! First off, I’m so glad you’re here and I can’t wait for you to take a cruise around my new website! The girls and I started discussing a brand new website about 2 years ago now! Over those two years, we’ve sent countless emails back and forth, had multiple phone calls and discussions. We mapped out what we wanted it to look like, tweaked the logo, played with fonts and colours and searched for someone to help us bring our vision to life! We reached out to a couple of initial options to help us create this website and we weren’t in LOVE with what they were bringing to the table so we did some research and found the team at Tonic only a few short months ago!! They were EXACTLY what we were looking for! The team at Tonic worked insanely quickly with us as they knew how eager we were to get this underway and we’re so thrilled to let you know that TODAY IS THE DAY that it has come to fruition!! First off, I want to give a MASSIVE shout out to Jen and Jeff, from Tonic!! Jen and Jeff worked their BUTTS off to design my brand new website and it turned out better than I ever imagined!! Jen worked tirelessly with Team Jilly, making tweaks, adjusting pages, and creating the most engaging, beautiful site for all of YOU to explore! We are all so proud of how this turned out (THANK YOU Tonic, and Team Jilly! LOL!). We are ALL extremely eager to share it with you. We hope you find it exciting and intriguing … there are so many fun features spread throughout the site! Tonic really turned what was my blog into more of a story and expression of WHO I am as a person and I hope you get so much out of it!! EEEPPPP!!!! Coming SOON, we will be launching my EXCLUSIVE PRESETS!!! That’s right, the Jilly Love Preset collection will be available for YOU to purchase and use on YOUR photos to achieve my light, airy, editing style! We have been working so hard to perfect these stunning presets for you to ensure they are as user-friendly as possible and even MORE STUNNING!! To celebrate the launch of the presets, they will be ON SALE for ONE WEEK, PLUS we’re adding in an additional BONUS preset for you during this period to show our thanks and appreciation to you for following along with me on this crazy journey of mine! This means you will be able to purchase my Jilly Love Preset Collection for $50CAD down from $69CAD AND get your hands on my JH CRISP WHITES LOVE preset as an added bonus!!! My Jilly Love Preset Collection will include the following 7 presets (plus one bonus preset) below! I’ve also added in a couple of photo examples of what a couple of the presets will look like! I’ll be sure to dish MORE info on all of these presets with an updated launch date soon!!! STAY TUNED!! Does it get ANY more exciting?! In addition to launching my presets collection, we will ALSO be launching some gorgeous downloadable prints in the JH SHOP!! There will be a variety of different prints including the MOST ASKED ABOUT print in my home … that’s right, the WILD AT HEART print will FINALLY be up for grabs!! Not only does this print come in multiple colour options but you can also decide the SIZE of print you would like to own as well! And the best part?! ALL of these prints will ALSO BE ON SALE for one week!!! I’ll be sharing MORE about the prints soon so stay tuned!! There are so many exciting things coming up so if you want to stay up to date and in the loop as to when the presets and prints will be available for purchase, then make SURE to sign up for my e-newsletters as my email subscribers will have FIRST ACCESS to everything!!! Sign up, HERE!! That’s it for now everyone!! NOW you can go check out the entire site!! Make sure to let me know what you think of it in the comments below!! Congratulations Jillian and the Team! Your new website looks AMAZING!! I’m so excited for these presets! I’m a professional photographer but when I’m using my iPhone and instagram I want something easy to make quick adjustments! Can’t wait to try them! I think in the first line of your site you mean “can’t wait”, it says “can wait” which makes no sense. Love love love what you’ve done with your site! It’s airy, chic and classy. It definitely represents team Jilly perfectly. Job well done! Ps. I can’t wait for the presets. I almost bought another influencers but then heard you were releasing yours so I am patiently waiting. Congratulations on the new site and branding it is beautiful. Looks amazing! So fresh and sophisticated. Very user friendly which is key! You’re welcome! I love the site so much! Great colors, easy search function on top, quick and easy JH shop link on top- great job team! GAH! everything is so beautiful + the presets and prints are SO exciting!!!! congrats!!!!! So lovely! Enjoying the update and all the exciting things that are happening in JH world lately! Website looks great! I think under your Where I Shop section, you meant to say Saje, not Saj. Also, there are a couple of stores that aren’t linked to click on. Not sure if that was on purpose or not. Love the new site, so chic! It’s so easy to navigate and find previous stories and whatever you’re looking for! Congrats. I love the new website! It looks great. And super easy to navigate too! Thanks guys. The mobile scaling is great!! You typically see a lot of bugs – especially when you first launch – but it is functioning great! Everything looks beautiful – congrats to the team! Of your amazing content and life adventures l! I just LOVE it! YAYYYY!! The new website looks amazing!! Love everything you’re putting out there, Jill & team!! Jilly and team- I have been anxiously awaiting this launch and I am NOT disappointed! I am in LOVE with the new site!! Jilly, you are my source of inspiration for a LOT in my life and this makes coming to your page a little more exciting (didn’t think that was possible) than it always is!! Sipping on my Coffee ☕️ Browsing this website and just loving it! Brilliant, fresh, vibrant, and easy to navigate …. great look to your new website. Congrats to you and the team ! Congratulations Jillian & Team! Looks amazing, can’t wait to see all the things that will grace this beauty of a space! ❤️ LOOOOOOOVE ❤️ the new site!!! All your hard work has paid off!!! Keep it up Team Jilly!!! It’s beautiful! Good job all! LOVE, LOVE, LOVE! Congrats on the launch of your new site. Everything is SO beautiful! Congratulations on another success! I am looking forward to the presets AND downloads… I have had my eye on that “Wild at Heart” for a while:) Great job Team! On first glance, the new site looks more modern and updated, especially the logo. Great muted yet bright colours! FYI (not being picky, just thought you’d want a reminder), the newsletter subscription page still has your old logo. Your new website is beautiful, stylish and welcoming. A fitting representation of you and your lovely team! They help you edit photos to look “jilly-esque” !!! FYI… I think you need to change your YouTube banner to the new style. LOVE LOVE LOVE the New Look of the Website…absolutely Gorgeous! Cant wait for those presets!! Eeeek!! Your new site is beautiful! Counting down the days for your presets and now print collection! Congrats! Amazinnggggg new site! LOVE IT!! LOVE the site!! can’t wait for the presets! Stunning website. A true reflection of you Jillian. I love seeing your success, you are a true inspiration. Great job to Tonic on partnering with you to create such a pretty”place’ to visit. and navigate thru. OMG – am I new the presets were coming but I was hoping and prayer you were going to offered to sell some of your photos. My dreams came true! I was just about to try and print some photos for a wall in our house.m, thank god I wanted! Yayyyy! Congrats on the new site, it is SOOO Jillian Harris esque! Beautiful and stunning. OMG! Congrats to you and the team, holy, it is SO beautiful!!! SO Jillian Harris esque! Also, can I just say a dream came true for me and I’m sure many others! I am SOOO excited for the presets but I was secretly HOPING you were going to sell your photos, this is AMAZING! I as to do my hallways with photos and I am so GLAD I wanted to find photos. 2019 is off to a great start for you ladies!!! Congrats again on all your hard work. The new website is wonderful. LOVING the new site! I happened to pop on here last night so I knew you were up to something. Congrats! The new website looks really nice! The only thing that is a bit awkward is when you click into one of your headings (home, food, beauty, etc.) and start scrolling down. The “categories” column on the right hand-side overlaps the content at the bottom of the page, making it difficult to use and a bit strange looking. Dumb question… but what are the presets for? Instagram? Or are they to be used with another app? Congratulations!! I love the new website! The presets look amazing!!! Will they be available for US as well? Didn’t see that specified and price. Congratulations on your new website. It is fantastic! So clean, well laid out and contemporary. Much easier to follow and love that all of the information can be readily located at one site. As well, all of your endeavours and ambitious efforts are much more transparent making all aspects of communication very fluid (for example, instagram, blogs, videos, shop, stories, etc. all in one location). Love your authenticity to share your journey and make real connections to all of your followers sharing with them that they are not alone. It takes a lot of courage and a kind, loving heart to reveal vulnerable moments. You are doing a beautiful job of demonstrating of what matters most in life, family, relationships, friendship, love and matters of the heart. Great job on your new website. I know it will continue to grow, inspire and transform positively. Bravo! The site is gorgeous! Congratulations!! It looks so good Jill! Congrats to you guys 🙂 And I’ve never tried presets before but I’m super excited to try yours because Mackenzie does such a good job with your pictures!! 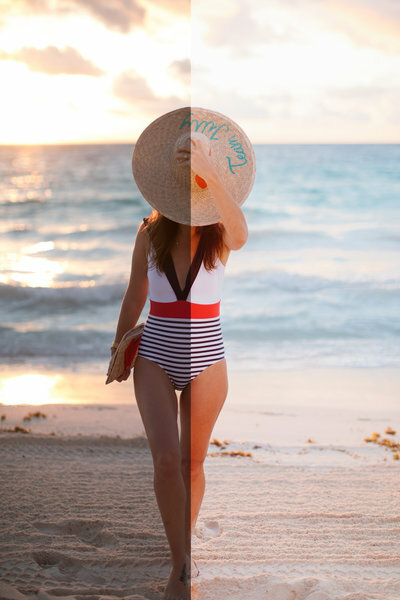 I hate all of the fake-looking orange and pink presets that people are using these days, so thank goodness for natural-looking bright and light ones! Hi Jillian – are your presets going to be available in the US too? Congrats on your dreamy new website! Hey Jill! It looks really REALLY good. Very impressed with their work and it captures you and the brand well. I knew exactly what I was seeing/doing through the pages I clicked and the experience was clear. Font sizes are 14px for content, which is really hard to read on a normal sized monitor. I’d suggest bumping those up to 16px or even 18px at larger resolutions. The tags are even smaller, making them almost non-legible for larger monitors. Congratulations on the beautiful new website! I am excited about the new presets too! Will I need Adobe Lightroom installed on my desktop or can I install the presets directly on my phone and use the mobile app? You will be able to install them just on your mobile if you want!! The website from 1st glance is elegantly designed and SUPER user friendly on my Android! I have been following and reading your blog since 2009 after falling in love with you on The Bachelorette. (Weird to say? I hope not haha). I have to say this new update is BEAUTIFUL! Well done team! I’m also thrilled for the prints! I’ve always loved the wild at heart one and think it will be perfect in my little girl’s room. Congratulations on so many exciting launches and releases! All the best. Our family are currently living in a shed on site where we are building our 7th house. Your style and lifestyle is to be admired! I would love to purchase the presets and artwork for our new home. We live in Australia so is that possible? Love love your new site…..it is so YOU!!!! I also love the floors in your awesome home can you please let me know the manufacturer / colour and all other details about the floors – they are stunning!! Congrats!! The website looks gorgeous and I can’t wait for all of the exciting things you have coming up!! Love the new site! Any update on when the presets will launch!? Anxiously waiting!! When will the presets become available and how do you purchase it? When will the prints be available for sale? ?